How to quantify the value of preserving history? 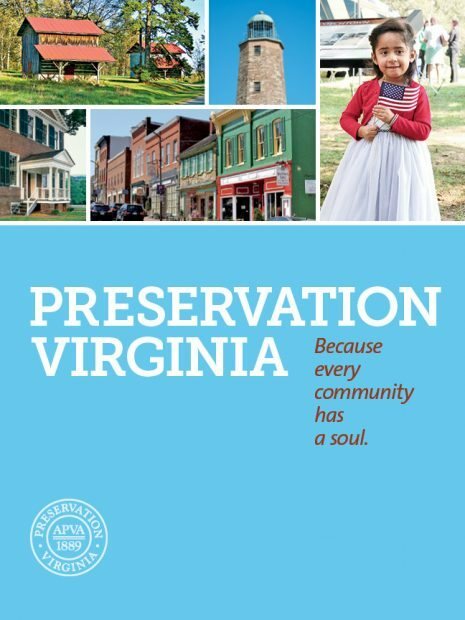 Our friends at Communication Design Inc. in Richmond, VA, teamed up with Preservation Virginia to present key findings. 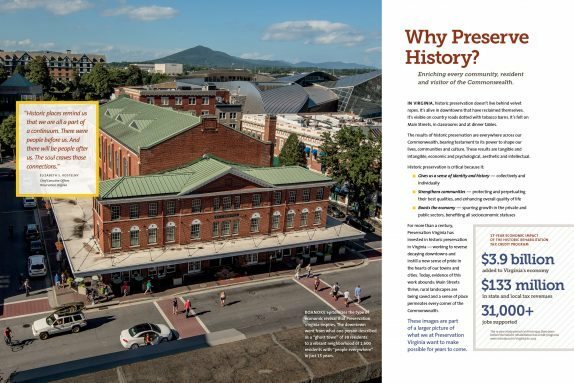 In a gorgeous brochure that’s the signature print piece for the nonprofit’s major capital campaign, it’s noted that “historic preservation doesn’t live behind velvet ropes. It’s alive in downtowns that have reclaimed themselves …. It’s felt on Main Streets, in classrooms and at dinner tables.” And the 17-year economic impact of the state’s Historic Rehab tax credit program has added $3.9 billion to VA’s economic, generated $133 million in state and local tax revenues, and supported 31,000 jobs. Such statistics are layered throughout the publication, packing a punch without becoming boring. As a state, Virginia has long been strong on branding. This piece enhances an important message and presents it beautifully.